Let’s discuss recital performance etiquette briefly. Going on stage to perform is an important part of your training as a musician and teacher but is also the culmination of all your hard work in the practice room working at perfecting your craft on your instrument. You should not look at going on stage to perform as a punishment or as something you HAVE to do. You should look at it as an opportunity to show off what you have learned and most importantly to try and communicate something to those who are there to listen to you. The audience is there to support you and to enjoy your work and is looking forward to hearing what you have to say. I know you get nervous. We all get nervous. If someone tells you they are not nervous when they perform they are lying, don’t care anymore how they sound or are on beta blockers! But one of the things that you are learning to do at this point with these performances is to control the symptoms of your nervousness. That is another reason we encourage you to perform as much as possible. 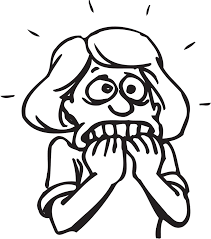 Keep in mind though that the level of your nervousness is often directly tied to your preparation. If you have done EVERYTHING in your power to prepare for your performance (diligent practice, listening to your teachers’ guidance, playing for others etc.) you will be able to gain more control over your adrenaline and start to enjoy your performances more, which will lead to greater enjoyment for your audience as well. You also must experience and learn to work with this because someday you will be teaching others how to perform as well and if you have not gone through this process yourself you will not be able to teach someone else how to do it. There are things you can do such as walking up and down the stairs and then going in and immediately playing. This simulates the physical symptoms that many experience when they go to perform (increased heart rate, shallower breathing). Pull friends (or enemies if you really want to live on the edge…..) into the practice room to hear you play. Anything to get used to how you react when performing in front of an audience. We all got into music at some point because we enjoyed doing it. It is OK to LOOK like you are enjoying it on stage! You can even smile (don’t worry, the building won’t fall over). Be patient as you come on stage and actually stop moving BEFORE you bow (watch how many people are basically still walking as they bow coming on). When you bow, look at your shoes and not the audience (that is not the time to smile at them as your head being up while you bow looks weird). Then go to where you are going to play and TAKE A DEEP BREATH BEFORE STARTING. You don’t have to rush into playing. For that period of time, the stage is yours and everyone is there only to focus on you. Take your time. A good exercise: think mentally through the first few bars of your piece before you start. It helps you set a tempo, get in your head (and ear) your first few pitches and just gives you a chance to get settled on the stage. When your performance is done WAIT a second before starting to move. Enjoy that moment right after you finish before the applause starts. Then, patiently again, stop and give a good bow to the audience. Now is when you should really look appreciative to the audience for having shared that experience with you. Then, if you played with someone else, take a second to truly acknowledge them (and no, a cursory arm wave while basically walking off the stage does NOT count). And a note about that other person on stage with you. You might know them as your “accompanist” (a term I despise!). Many know them as a collaborative pianist (the better term). I think of them as your duo partner. Now, wait a minute you are probably thinking. How are they my duo partner? Take a second, pull out your music and look at the amount of time you play in your piece compared to the amount of time they do. I promise you they play a lot more notes and a lot more of the time than you probably do in most of your pieces (and while you play one piece on the program they might be playing for 5 other people that same day). If you are doing a concerto or aria they are probably playing an entire bloody orchestral score reduced to ten fingers!! At the same time, they are trying to follow your tempo shifts, adding measures to the piece after you get lost to get back with you, dropping measures to find you when you skip or rush rests etc. That is a role that is MUCH more than merely accompanying your performance. So, the least you could do is really acknowledge them at the end of your performance. Give them a chance to be acknowledged by the audience. 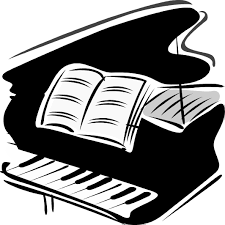 THANK THEM there on the stage for finding you again after you left out 20 beats of your piece……..
Really take the time to think about HOW you are on the stage as a performer. And this is a skill that must be practiced! Practice bowing. Practice acknowledging others who played with you. Make it a regular part of your routine and it won’t seem so foreign when it comes time to do it on stage for real. Tracy Wiggins is Assistant Director of Bands and Coordinator of the Percussion Program at The University of North Alabama. He has a Doctor of Musical Arts degree from the HARTT School, University of Hartford. Dr. Wiggins holds a Masters Degree in Percussion Performance from the University of New Mexico and a Bachelors Degree in Music Education from Oklahoma State University. He has performed with The Huntsville Symphony, The Fayetteville Symphony Orchestra, Florence Symphony Orchestra, Carolina Philharmonic and as principal percussionist for the Santa Fe Symphony; marching percussion with the Freelancers and Black Gold Drum and Bugle Corps, as well as instructing the DCI Division III World Championship finalist Delta Brigade and the Northern Aurora Drum and Bugle Corps, and DCA Finalist Carolina Gold; and solo appearances at universities throughout the United States and Jordan. He has presented clinics at The Midwest Clinic, The Percussive Arts Society International Convention, The National Conference on Percussion Pedagogy and at numerous state Days of Percussion and Music Conferences. He is also an active adjudicator for marching percussion throughout the southeast. His teachers have included Johnny Almendra, Tricia Bovenschen, Wayne Bovenschen, Michael Bump, Joe Galeota, Ralph Hardimon, Gregg Koyle, Alexander Lepak, Christopher Shultis, Ben Toth, Glen Velez and Nancy Zeltsman. Tracy has also performed on masterclasses for Evelyn Glennie, Nebojsa Zivkovic and Robert Van Sice. Dr. Wiggins has premiered works by composers David Macbride, Thomas DeLio, Daniel Davis, Adam Groh and others.